Singer Beyoncé is no stranger to getting political, but sometimes she just can't win. 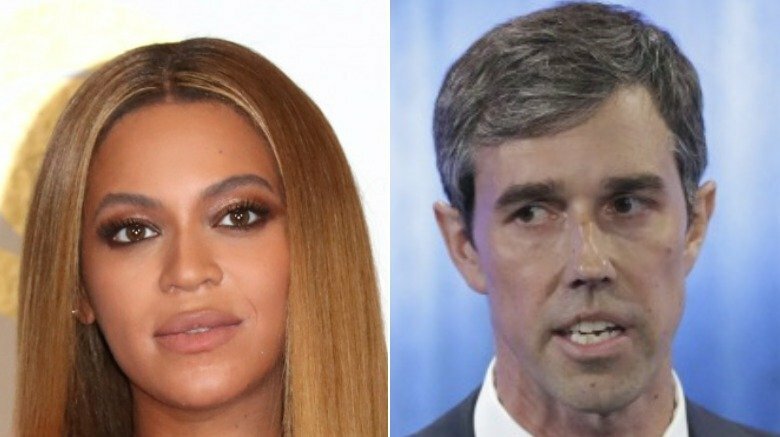 On Tuesday, Nov. 6, 2018, Queen Bey took to Instagram to share a last-minute endorsement for Texas Democrat Beto O'Rourke in his U.S. Senate run against Republican incumbent Ted Cruz, while encouraging her massive fan base to perform their civic duty and vote. "I'm feeling grateful for everyone before me who fought so hard to give us all the right to have a voice," the native Texan wrote to her 120 million followers, captioning snapshots of herself sporting a black-and-white "Beto for Senate" baseball cap paired with a black sweatshirt. "We can't voice our frustrations and complain about what's wrong without voting and exercising our power to make it right. We need you." Beyoncé, 37, added, "We all need each other, because when we are truly united we are unstoppable. Sending you all love and positivity on this happy voting day! Every vote counts. Every race matters. Everywhere." It's a solid and heartfelt political post, right? Well, apparently not everyone in the Beyhive saw it that way. With just a few hours left before the polls closed in Texas, a number of social media users slammed the "Formation" hitmaker over her timing. While one fan rationalized, "She didn't have to post at all lol chill," and another wrote, "Y'all are ungrateful and raggedy. FOR REAL. Y'all can go to hell for trying to make this woman feel bad for doing good. STRAIGHT. TO. HELL," others quickly took to the comments section to air their grievances against the former Destiny's Child singer (via Yahoo). "Lol these posts a week ago could have made the difference in young voters," one person wrote, while another commented, "You have such a huge, influential voice and you wait until Election Day to post this?! Beto needed you sooner. Maybe you could've actually made a difference" (via Page Six). Meanwhile, another Instagram user chimed in with, "Love love love, but why at the last minute?! Early voting in Texas started Oct. 22 — would have loved this endorsement sooner to drive more folks to the polls!" (via Yahoo). However, one person who approved this message was O'Rourke himself. Soon after Beyoncé shared her post, the 46-year-old politician expressed his gratitude with a simple tweet, reading, "Thank you, Beyoncé!" 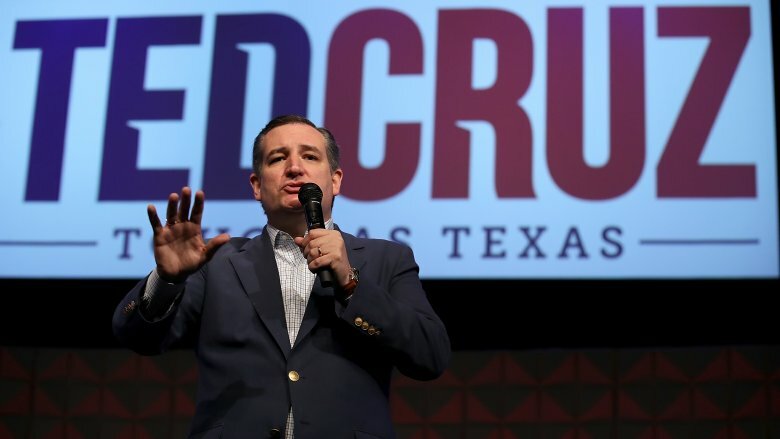 Readers may already be aware that the O'Rourke-Cruz race had gained national attention in the lead up to the midterm elections, with O'Rourke becoming a rising star within the Democratic party and garnering the support of countless other celebs. However, despite his impressive and inspiring run on a progressive platform, O'Rourke ultimately lost to Cruz, 47, in the highly anticipated race. According to The New York Times, O'Rourke received 48.3% of the vote compared to his opponent's 50.9%. For his part, O'Rourke infamously dropped the F-bomb in his rallying concession speech, while emotionally telling his supporters, "Tonight's loss does nothing to diminish the way I feel about Texas or this country. I'm so f**king proud of you guys" (via Variety). As he later tweeted alongside a photo of himself with wife Amy Hoover Sanders, "We just want to say thank you to everyone who made this possible. Everyone who made us feel hopeful, everyone who inspired us. Everyone who became the most amazing campaign we could have ever hoped to belong to. Grateful that we got to do this with you. We love you. Goodnight!" At the time of this writing, Beyoncé has yet to publicly comment on the backlash against her post or react to O'Rourke's narrow defeat. As for the rest of Hollywood, however, multiple celebs seem to be erring on the side of optimism and have already taken to social media to urge the Texan politician to take on a 2020 presidential run. "Beto lost? That's ok. Now he can run for President," actress and #MeToo movement activist Alyssa Milano tweeted, while actor Josh Gad wrote, "Looks like Dems will take the house! Do not let all of the other noise tonight deflate you. We finally have a check on the President. Tonight is a win for democracy. Oh and…#Beto2020." Meanwhile, singer-songwriter Sheryl Crow posted alongside a heart emoji, "Please do not give up, Beto. You have inspired millions which is what this country needs right now. Continue the fight for what this country is about. Freedom. @BetoORourke #Beto."